Do you need some help getting started on your quest to find fantastic freebies? Look no further! These following 5 top tips are all you’ll ever need. Let the bargain hunting begin! Firstly, when you fill out any subscription forms online, you’re better off NOT using your real number. Unless, of course, you know you will be required to verify your number in order to receive a free item that you had requested, or, you are certain the company you subscribed with is a legitimate business. There is, however, a convenient and easy way around inputting your actual phone number: a k7.net account. This type of account allows a user to acquire a free phone number, complete with online voicemail. It’s a great way to avoid pesky telemarketing calls. GOOGLE voice is another similar service and is just as reliable. It’s always a good idea to have an extra email account, like Yahoo, Hotmail or Gmail, to help control any unwanted spam from clogging up your usual email provider account. There are plenty of companies out there that offer free samples and coupons. So, if you’re looking to get your hands on some free stuff without the use of a freebie website, then you should consider emailing or calling companies that interest you. You may be pleasantly surprised at how easy it can be to get samples directly from them! Firefox has a cool GOOGLE Toolbar with an autofill feature that allows a user to sign up for free stuff. It makes filling out the same information over and over again, an all-too-boring and tedious task, ever so effortless. RoboForm, an auto-fill tool, is another wonderfully handy tool that makes filling out forms a breeze. Folks! Here’s an easy one! 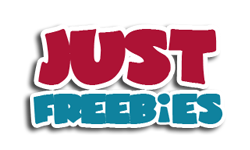 Follow us, Justfreebies.com on Facebook, Pinterest, Twitter, and Google+ for 24-hour freebie updates, the latest bargains, and so much more! We guarantee you’ll never miss a freebie again!